London: Gold jumped to its highest in nearly four months on Wednesday as the dollar tumbled to a six-week low versus the Japanese yen and slid against the euro, lifting assets priced in the U.S. currency and offsetting a rise in global yields. The dollar fell as much as 1.2 percent against the yen after the Bank of Japan's move to trim its long-dated government bond purchases earlier this week, putting the U.S. currency on track for its biggest two-day drop in nearly eight months. The BoJ move also lifted bond yields across the world, generally a negative factor for gold as it increases the opportunity cost of holding non-interest bearing bullion. However, the impact of the dollar's fall outweighed that factor. Spot gold was up 0.9 percent at $1,324.40 an ounce at 4.37 pm, having earlier touched its highest since September 15 at $1,326.56. 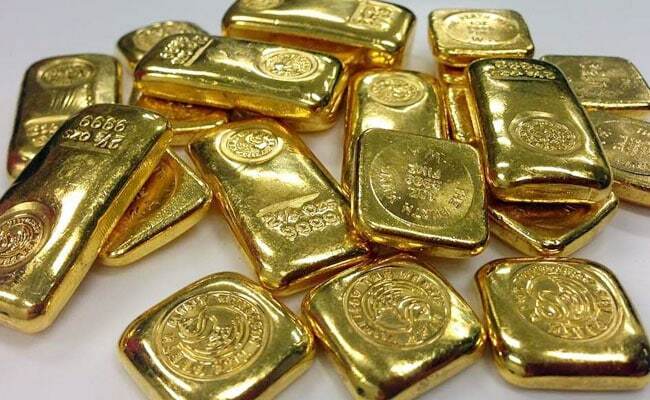 US gold futures for February delivery were up $11.50 an ounce at $1,325.20. "The story in the markets right now is most certainly the yen story, and that is going to provide enough support (to gold) for the yield story to be ignored," Saxo Bank's head of commodity strategy Ole Hansen said. "Dollar/yen is down more than 1 percent." "We are seeing underlying demand for gold here as the year kicks off," he added. The dollar's slide against the yen also saw it move lower against the euro, with the single currency up 0.6 percent versus the U.S. unit. Major government bond yields hit multi-month highs on Wednesday as investors reevaluated the likelihood of continued easy-money policies by the world's major central banks following the BoJ move. The 10-year U.S. Treasury yield hit 2.57 percent for the first time since March. Among other metals, palladium was down 0.1 percent at $1,098.50 an ounce, after hitting a record high on Tuesday at $1,111.40. Tightening emissions standards and a switch away from diesel cars to more palladium-heavy gasoline models has shored up demand expectations for the autocatalyst metal. "Yesterday once again saw moderate outflows from palladium ETFs," Commerzbank said in a note. "Since the start of the year, holdings have already been reduced by just shy of 13,000 ounces. The trend seen in recent years appears to be continuing." "That said, the exodus from palladium ETFs since the end of 2015 has done nothing to prevent the massive price rise," it added. Silver was up 1.2 percent at $17.16 an ounce, while platinum was 0.1 percent higher at $965.90 an ounce.